Juno webmail is essentially a dial-up internet service provider based in the USA. Apart from the internet service Juno also provides free email access that you can access through any internet connected mobile or computer with 2 GB of free storage. If you are an existing user, here is how you can Log in to Juno Webmail. Go to Juno.com in any web-browser you prefer. Under the heading Free email click on “More Info”. Now, click on “Order now”. 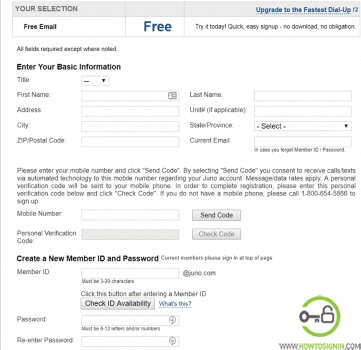 Unlike other email service provider, there is no “Sign up” option so don’t get confused. Select your title from the dropdown list. Address along with City, State/Province and Zip Postal code. An existing email address that may be required to recover your password in case you forget them. Give a valid mobile number in which a personal verification code will be sent and then click on “Send code”. Type the code sent to your mobile and then click on “Check code”. Compose you member id which should be in the range of 3 to 30 characters and then click on “Check Availability”. You will not be allowed to proceed further until you create a unique email id. Create a password that is strong enough for others to guess. The password should be of 6 to 12 characters and should be the combination of alphabets and numbers. Re-enter the password to confirm. We recommend you not to copy and paste the password while you are asked to re-enter the password because re-entering password helps you correct in case you have mistyped your password and also helps you remember them. Select the security question that will be used while recovering the password in case you forget them. 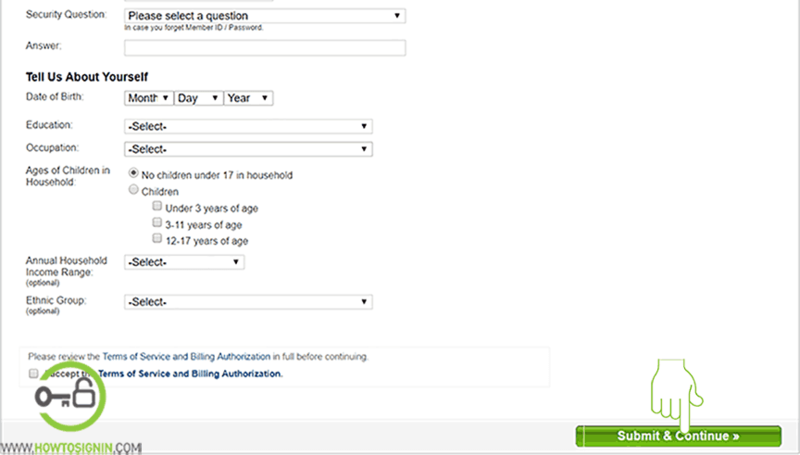 Provide the answer to the security question you have selected. While providing question do not provide the obvious answer that can be easily guessed by others but can be easily remembered by you. Select your date of birth from the drop-down list. Your educational qualification and occupation you pursue. Household information including the number of children in the household, annual household income. Lastly your ethnic group. However, the information about your household income and ethnic group is not compulsory. As you are done providing all the required credentials, click on the small box in front of “I accept the Terms of Service” and then click on “Submit & continue” option. 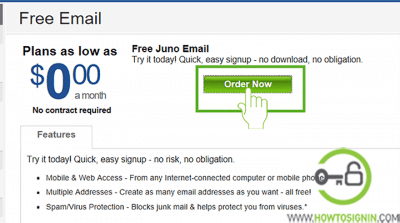 Finally, you have successfully created Juno webmail service for free. You can now sign into Juno.com email service to send and receive email.